When you fling the doors of your closet open, you know that stuffed deep in the back are pieces you don’t wear often: beaded cocktail dresses, the flowy maxi dress you just HAD to have last summer, and a collection of ever-so-slightly different pumps. But then, you also have a stack of jeans that see the outside world regularly, a variety of tunics that are in a constant rotation, and several maxi dresses that you do actually wear. So what accounts for this difference? Versatility! A beaded cocktail dress is just not as practical and versatile as a good pair of jeans...at least for most people. Your jewelry box follows a similar pattern. There are pieces that you wear all the time because they go with just about everything. And then there are pieces that you don’t wear often because they are a little more difficult to pair up and wear. 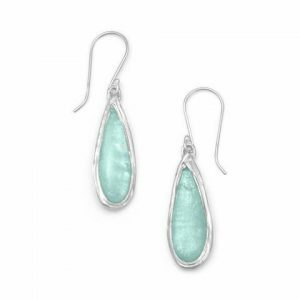 Fine jewelry can be a considerable investment. 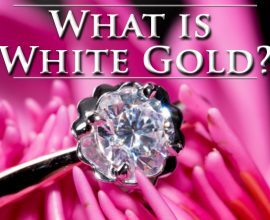 When you buy a piece of fine jewelry, a lot of factors go into choosing what to get. One of the factors most people take into account is the wearability and versatility of the piece. 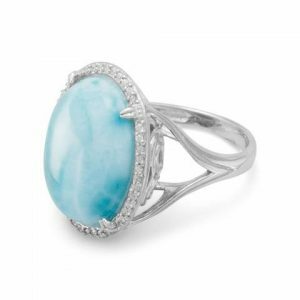 With that in mind, we have some recommendations that will help you build a versatile jewelry box, so that no matter what your lifestyle looks like, you will a solid collection of jewelry from which to choose. On my 30th birthday, my husband gave me a new pair of diamond stud earrings. Diamond studs are, for my money, the single most important part of a woman’s jewelry box (after her wedding set, that is). Diamond studs, no matter their size, light up a woman’s face. No matter how I’m feeling (or looking, for that matter), diamond studs always make me feel more put together. Speaking of size, I recommend using white gold for the stud. 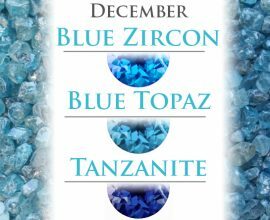 It will provide a consistent color story, making the diamonds appear just a smidge larger. 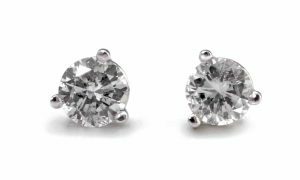 Studs are usually made with four prongs holding the diamond in place. 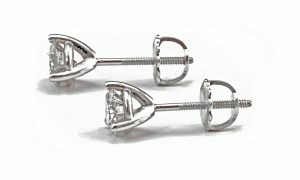 However, if you would like something a little different, ask that a three-prong martini-style stud be used. The martini style tends to keep the stud upright in the ear. Also, I find that screw back posts, while a little thicker than traditional posts, provide a more secure and customized fit. There may be times when you don’t want to wear your diamond studs. In those situations, I recommend a simple hoop earring. 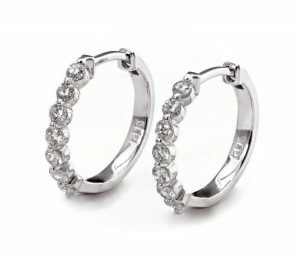 But not just any hoop; try a diamond huggie earring. A huggie is a very small hoop that hugs the ear lobe (hence the name). Huggies are particularly lovely for ladies with multiple holes in their ears. In fact, my next fine jewelry purchase is going to be a pair of diamond huggies for my second hole. Stop in to our downtown Brighton showroom. We just released some new huggie styles that are exclusive to Andre’s Fine Jewelers. And if you want a larger sized diamond or different gold color or an alternate setting, no problem. Custom is what we do best. Come in and speak with our designer. For our 10-year wedding anniversary last summer, my husband gave me a set of custom-made tri-color gold diamond stackable rings. We have three sons, so my set of stackers has one white gold, one rose gold, and one yellow gold ring. Stackable rings are very popular. And why shouldn’t they be? You can wear one, two, or six. The only limit is the one you impose on yourself. Stackables are also versatile in where you wear them. Some women wear them along with their wedding sets. Some women, like me, wear them on the right hand. 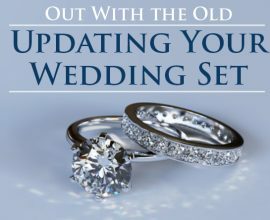 While my rings are diamond bands with shared prongs (giving the rings a solid diamond appearance), some women prefer to have a more filigree setting, or burnished stones (stones that are set flush with the surface of the metal) set in a polka dot-like pattern. There are as many options as your mind can conceive. This is another scenario where you might consider sitting down with our designer to really refine and focus your stackable ring look. 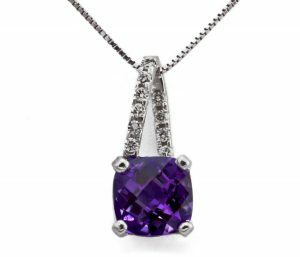 The second necklace I recommend every woman has is a colored stone pendant, accented with diamonds. I realize that is an incredibly broad category…and that’s on purpose. Essentially, you can get a gem in just about any color or hue you’d like. 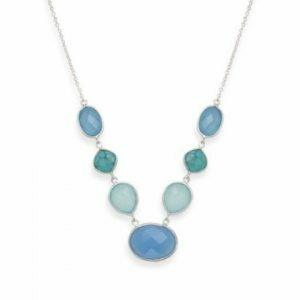 In the colored stone pendant category, you’ll find all manner of birthstone necklaces and mother’s jewelry. 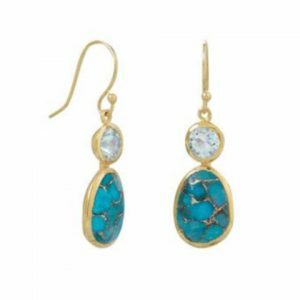 Mother’s jewelry is a very personal way to wear your children or grandchildren in jewelry. 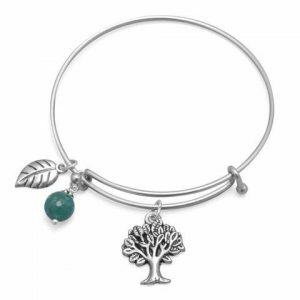 A good collection of sterling silver jewelry is a great way to expand your jewelry box without breaking the bank. 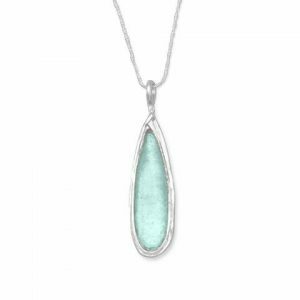 To meet the needs and tastes of all of our customers, we carry a full complement of fine jewelry that has been designed and made in-house, along with two different collections of sterling silver jewelry. Sterling silver is a way that you can express your personal aesthetic while participating in the fun and seasonal trends. Good things are worth waiting for. And that applies to building a versatile and well-appointed jewelry box. My advice is to build your collection with the pieces on this list. If you’re paralyzed with where to start, stop in to the showroom. We’ll be able to help you navigate the sparkling terrain. P.S. I’d start with diamond studs or huggies, then stackables.